Current perspectives on photography: Andrew Esiebo, Délio Jasse, Lebohang Kganye, Namsa Leuba, Mimi Cherono Ng’ok, Abraham Oghobase & Dawit L. Petros. Tiwani Contemporary is pleased to announce The View From Here, a photography exhibition, which will open during Photo London. 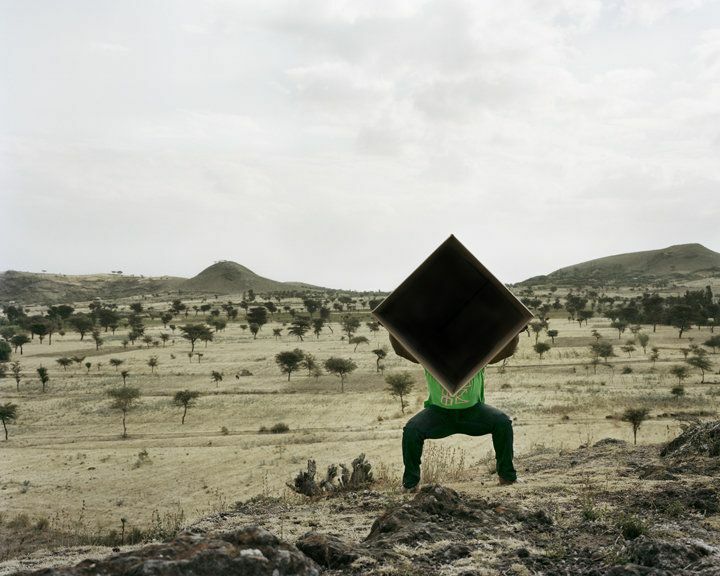 The View From Here will present works by seven emerging international artists from Africa and the diaspora, many of whom will be showing in London for the first time. Abraham Oghobase (Nigeria) was a Prix Pictet finalist in 2014 and Andrew Esiebo (Nigeria) was nominated for the prize in 2012. Namsa Leuba (Switzerland) was awarded the Magenta Foundation Emerging Photographer Award, and Délio Jasse (Angola), finalist in the BES Photo Prize in 2014, will be part of the official selection for the Angolan Pavilion at the 56th Venice Biennale (2015). The artists in this exhibition openly challenge the status of the photograph as a document, preferring to explore its limitless potential for subjective, fictional and poetic musings. The exhibition therefore showcases a diversity of attitudes towards the camera, underpinned by an experimental probing of its possibilities and limits. Photography’s relationship with other media, such as performance, installation, moving image and text, will also be examined. The View From Here gathers works which explore our shifting sense of identity in relation to globalisation and the current climate of widespread economic, social, and political instability. Shared interests lie in the overlap between personal narratives and collective history; the tensions between memory and the present; and the self in relation to our sense of place. Participating artists meet in the crafting of a photographic language that reflects the syncretic nature of being in the 21st century, here and elsewhere.